She turns to the future in a world that's falling apart.The No. 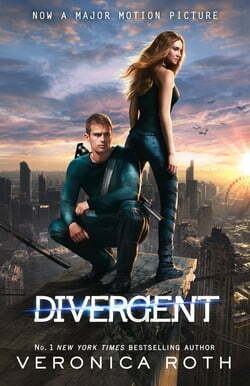 1 New York Times bestseller DIVERGENT - a major motion picture in 2014.For sixteen-year-old Tris, the world changes in a heartbeat when she is forced to make a terrible choice. Turning her back on her family, Tris ventures out, alone,... read more determined to find out where she truly belongs.Shocked by the brutality of her new life, Tris can trust no one. And yet she is drawn to a boy who seems to both threaten and protect her. The hardest choices may yet lie ahead....The first book in the DIVERGENT series that has swept the globe - selling millions of copies world-wide.